others the springing of the tin lantern by heating) the fringes would suddenly change their position, in which case the series of observations was rejected and a new series begun. 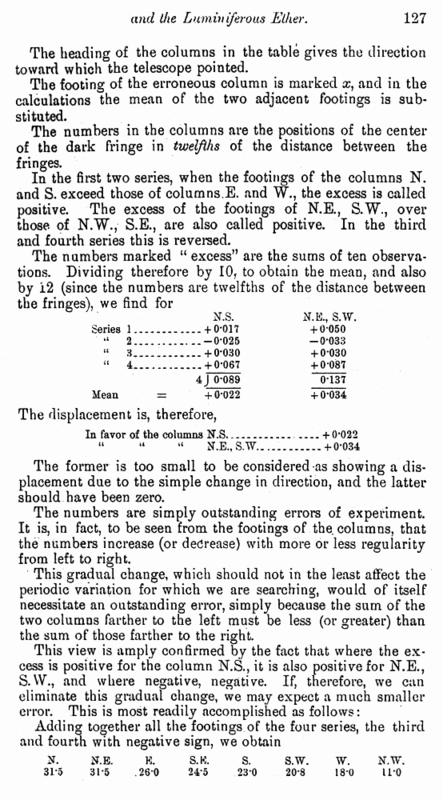 In making the adjustment before the third series of observations, the direction in which the fringes moved, on moving the glass plate 5, was reversed, so that the displacement m the third and fourth series are to be taken with the opposite sign. 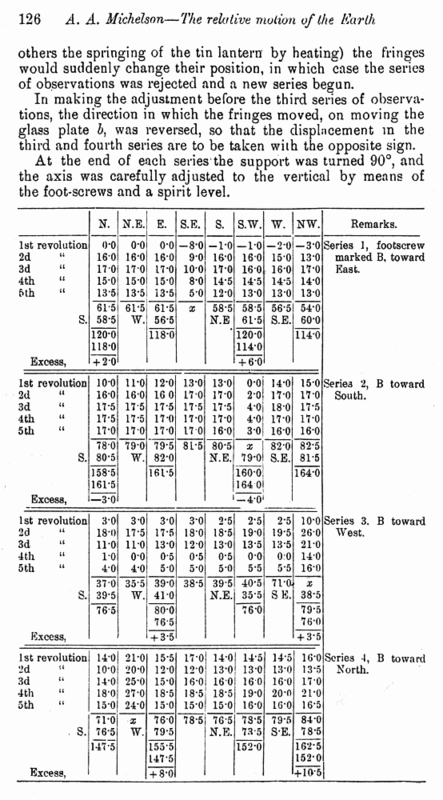 At the end of each series the support was turned 90°, and the axis was carefully adjusted to the vertical by means of the foot-screws and a spirit level. Series 1, footscrew marked B, toward East. Serie3 2, B toward South. £ i 82*0 79*0i S.E. Series 3. B toward West. Scries 4, B toward North.